GOLDEN COMPOUND pro and GOLDEN COMPOUND green characterize the ready-to-use solutions based on the fibers of sunflower seed hulls, that have been developed for many applications and markets. In addition, all materials for injection moulding, which require good processability, density and impact resistance, have been optimized. Figures 1 and 2 show the different properties. The market is always searching for newer, better and more environmentally friendly materials that are able to replace conventional plastics. These should offer at least equivalent material properties in the application.Furthermore, new developments have to comply with further requirements, such as weight reduction of components, easier processability and overall cost reduction. And of course,the products are supposed to result in sustainable and environmentally friendly solutions. GOLDEN COMPOUND has developed a series of innovative solutions by filling plastics with sunflower fibers. Our materials can be used in various compositions to replace PP, PP with mineral fillers, glass fiber reinforced PP, PS and aluminium with regard to the material properties and application requirements. Our standard material GOLDEN COMPOUND pro with 35 % by weight of fibers has comparable properties to PP with 20 % by weight of mineral fibers. Natural foaming of the fibers helps to avoid sink marks in thicker parts and reduces the density after processing to the finished parts to 1 g / cm³ despite a fiber content of 35 %. 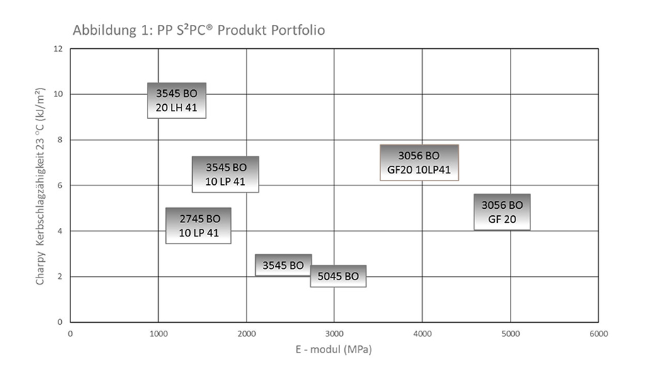 The cycle time for applications where PP is replaced by GOLDEN COMPOUND pro, can be reduced by up to 50 %, especially for large parts. This results in a significant reduction of overall system costs. Compared to WPC materials, GOLDEN COMPOUND pro is very easy to process and shows an uniform fiber distribution. If processed correctly, no “tiger stripes” occur. The polymer matrix of our compositions generally consists of polypropylene and shows a similar shrinkage as filled polypropylene materials. However, special compositions have been developed which show a material shrinkage comparable to styrene. For applications which require increased impact resistance, the impact modified variants GOLDEN COMPOUND pro 15IM16 or GOLDEN COMPOUND pro 3545 10V34 are suitable. And for applications requiring increased stiffness, the previously used glass fiber reinforced PP, was successfully replaced by our GOLDEN COMPOUND pro 3545 with 35% by weight sunflower fibers and 20% glass fiber.